That may address Dumbledore's view of his role in the relationship, though I find it pretty murky what he thought or felt about anyone besides Harry. I actually think he did feel more for Snape than a random order member, if for no other reason than that Snape was more useful to him, and, at the start of HBP, averted what would have been a complete ruin of Dumbledore's carefully laid plans. (If Snape had been unable or unwilling to heal the effects of the Ring curse, Dumbledore would have died without passing on his knowledge of the Horcruxes to anyone.) His "I am most fortunate to have you, Severus" is no more than the truth. It is certainly true that he seems not to give much consideration to the effects his plans and orders will have on Snape. Whether this is a sign of emotional disregard, or enourmous trust, is probably in the eye of the beholder. Where I do feel I am on firm ground, is in asserting that to Snape, Dumbledore was more than just a guy who gave him orders. This is especially evident, I think, in the DH scene in which Snape saves him from the Ring curse, and agrees to kill him. His anger over Dumbledore's carelessness seems to me to be masking an affection Snape of the 'fools who wear their hearts on their sleeves' is unwilling to reveal in a more usual manner. And his agreement to perform a mercy killing which is obviously repulsive to him, and will make him an outcast again, I think only makes sense if we allow that he felt genuine affection for the old man. The killing did achieve war objectives to which I agree Snape would have felt duty-bound to contribute, but the text does not suggests these were Snape's primary reasons for agreeing. The argument that persuaded him, was that his action would save Dumbledore from a painful and humiliating death at the hands of another Death Eater, an objective of no value to the war effort or to the protection of Harry, but of obvious value to Dumbledore the man. Last edited by arithmancer; January 24th, 2008 at 3:21 pm. I would not say pawn. That is something I would see the Dumbledore who was friends with Grindelwald would do, all for the greater good. The Dumbledore after Ariana would IMO never treat anyone, like a pawn. He is human and does make mistakes; the biggest being with Snape, that's my grouse with him. Dumbledore was an extremely powerful wizard who had almost endless capabilities, enormous intelligence, unlimited powers and extraordinary leadership qualities that made people listen to him and place upon him the position of the leader of the Light, I think, after his defeat of Grindelwald. I am still not sure how Snape and Dumbledore viewed each other; I think I may have to read the books again keeping in mind the posts here about Dumbledore's feelings for Snape and vice versa. As of now I think of it as a working relationship between two very powerful wizards IMO who met at working together to ensure the down fall of Voldemort and trying to keep Harry alive and well. Dumbledore in this relationship would have no qualms asking Snape to kill him; Dumbledore I think would be very okay with that; he was a very private induviadual, but a very strong one IMo, who would not hesitate to die, if the situation demanded it. Here the situation actually did not demand it and Dumbledore would not have contemplated it either, had he not been hasty and slipped on the Gaunt's ring. But after he staggered back to the castle and found that he had very little time to live; I think he tried to make his death as advantageous for Harry and the Light as much as possible. That was why he asked Snape to kill him; to further that advantage and take it into Voldemort's camp as well. I think Dumbledore gave information on a need to know basis. I kind of agree with this. Not Minerva; I don't think so. Harry, yes; I would have loved it had he shown a bit of that consideration or affection to Snape; he did not is what I think. How would his not telling Snape about the Elder wand be one of enormous trust? I don't think it was emotional disregard either; I really don't know what to think about this; and that's why I think I'm unhappy with Dumbledore when I think of this. And it was after the rest of your post that I felt I was over due for another reading. I think I agree. Dumbledore was a leader and he was a leader who had tough decisions to make and he made them well IMO. He took charge and responsibility and never wavered even if most times the choices were very hard to make. The mistake, a huge one IMO was allowing Snape to die, thinking Harry will die too, that showed a lack of sensitivity and feeling I would not expect from one such as Dumbledore and not telling Snape about the Elder wand. These two actions I am not able to reconcile with, when I think of a Dumbledore/ Snape equation. Had Snape lived, I would not have felt this way, or even had he seen Harry live, may have been okay, but Snape died. I had in mind more the plans that he and Snape made together. Dumbledore asked Snape to kill him, for example, rather casually and without any acknowledgement of what this plan would mean for Snape. Likewise the plan for Snape to tell Harry about the soul bit, was something that definitely upset, and should have been expected to upset, Snape. From which I conclude that Dumbledore trusts that Snape will in the end do the right thing. DH, "The Prince's Tale" "I prefer not to put all of my secrets in one basket, particularly not a basket that spends so much time dangling on the arm of Lord Voldemort." In my opinion, this is not an issue of trust. I believe he did, as he assured Harry, trust Severus Snape completely. He entrusted other things to Snape that, were Snape unreliable in his loyalties, could have been disastrous. But he is also a hard-headed realist. Snape is a spy. He could make a mistake and betray himself at any time. And at that point, what would matter in terms of keeping Dumbledore's secrets would not be Snape's good intentions, but his ability to keep those secrets even under the worst circumstances. Could Snape keep up his Occlumency, and resist the Imperius Curse, even under circumstances in which Voldemort knew he has been lied to by Snape? Could he keep them up indefinitely under torture? Sleep deprivation? Etc. Since Dumbledore does not know for a fact that the answer to all those questions is yes, he only trusts things to Snape that he needs to for his plans to work. I think it likely Dumbledore may have originally intended for his portrait to tell Snape about the Elder Wand, if all had gone according to plan. The threat it posed to Harry and the world would have been gone, so there would have been less reason to keep its existence and location from Snape, (and therefore, in a worst-case scenario, from Voldemort). But when the plan went awry and Draco became the new Master of the Elder Wand, I think Dumbledore decided it was still one of those secrets he had to keep from Snape. I see what you are saying, but your view assumes that what we saw was all there was. It also assumes that in the whole of the wizard world, Snape was the only wizard with knowledge to stall the effects of the curse. I would say both things are necessarily untrue. With respect to the cursed Ring: Snape was on hand, had the knowledge and Dumbledore did not want his plans or dealings getting outside of the Order members knowledge. If Snape was not around and Dumbledore wished to live longer, he would have had to apply to someone with the knowlede to help him and that person may have been outside of the scope of his circle of helpers. Considering the vast number of curses created and those studying curse breaking, the majority of which Snape had nothing to do with, it is inevitable that there was at least a small number of persons who could have helped Dumbledore. Thus, without Snape, Dumbledore's plans would not have been completely ruined, it would have simply meant that he had to trust yet another person outside of his circle of helpers - something he was likely loath to do. That made it very fortunate for him that Snape was in his inner circle. With respect to help: Dumbledore likely told many members "I am fortunate to have you" - for instance when meeting with Kingsley, someone who was immersed in the Ministry, well trusted there and who could spy for him there. Kingsley too could bring him advanced knowledge related to the Ministry's plans (like arresting Dumbledore), which would in turn assist Dumbledore's own planning. Just because we were able to see the conversations with Snape, we cannot assume that Dumbledore did not have intimate conversations with others where his gratitude was flowing. This again with Remus as a werewolf - Dumbledore was fortunate to have him on hand to spy in that scenario. And too with Molly - fortunate to have a woman who may have seemed naught more than a housewife, and yet she too went out on Dumbledore's business - and was able to provide a safe house for Harry and came to love him to the point where she was willing to 'move house' to #12G to be with Harry. Dumbledore was terribly fortunate to have her as well. What I do agree with is that Dumbledore saw Snape as more than a random Order member. There were no 'random Order members' to Dumbledore, imo. Dumbledore did value humanity, imo, and thus each of those helping him were equally valued as individuals. But I do not agree that he valued Snape as a person more than anyone else. The only person Dumbledore claimed to value more highly than the others was Harry; he said as much, indicating that at times he felt like the whole world could be sacrificed as far as he was concerned as long as Harry was kept safe. However, when one realizes that Harry was the major player in his plans to bring down Voldemort, one wonders if Dumbledore's affection was at least in part encouraged by a need to keep his most valuable asset against Voldemort safe. I would say that it was in the category of emotional disregard. But it was studied, imo. 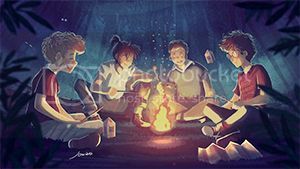 That is, Dumbledore did not allow himself to get close to others purposely because he knew that everyone in his circle of helpers would have to be considered expendible - with the exception of Harry, and with Harry, only until the very end at which point he became expendible also, if necessary. However, Dumbledore did seem genuinely relieved and gratified when he discovered that Harry might not have to die which does lead one to feel that he did have affection for the child beyond the others he was dealing with. Oh I agree with this completely. In fact I feel that Snape was not the only one who felt this way. Minerva was also incredibly fond of Dumbledore and within the realm of her relationship with him and her specific personality and values, would have also done things repulsive to herself on his behalf. That she would not likely agree to kill him does not mean that she felt less affection for him than anyone else. Harry too felt great affection for Dumbledore and I doubt he would have killed Dumbledore either, but he did do things repulsive to him according to Dumbledore's wishes. In a last example you have Remus, who dearly loved Dumbledore and again was shown to have done things repulsive to him on Dumbledore's behalf. But one has to consider each Order member individually; Snape had seen many, many people tortured and killed by Voldemort in a heartless and gruesome manner (i.e., Charity Burbage) - Minerva had not. It would be far more repulsive to Minerva to have to watch something like that and Dumbledore would not likely ask it of her - or trust her in that situation, but he could ask it of Snape, who would be repulsed, but able to better handle it and thus, could be trusted in that situation (if you get what I mean). And Dumbledore did wonderful things for all of the above persons, just as he had done in assisting Snape to come over to the good side. Snape and all of the others mentioned felt a deep sense of loyalty for Dumbledore and varying degrees of affection for him as well. However, I do not feel (with the exception of Harry) that Dumbledore returned their affection equally - he simply could not allow himself to form personal attachment to all of these people individually. I agree with you though, that Dumbledore trusted them all compeltely, including Snape - and he understood that 'trust' in each of them was limited only by their differing personalities and characters. Because he knew them well, he could thus, trust them completely by not surpassing their limitations with the trust he placed in them. Dumbledore was like the quintessential old tradition, Master Jedi Knight. Last edited by wickedwickedboy; January 25th, 2008 at 1:40 am. There may have been other Potion Masters, but like you said, none I think Dumbledore would trust. Dumbledore would not be able to keep it a secret because his hand was blackened and was visible for all to see. I doubt he would say anything like 'I am fortunate to have you' to anybody else. With the others it was voluntary on their part to join the Order and all of them had limitations to the role they could play. They were all fighters; I don't dispute that, all of them joined together to fight for the right cause, but the main difference as I see is, they fought for themselves; to make their world better; they came to Dumbledore, because they found an able leader in him, one whom they trusted to lead them to victory. Snape on the other hand was someone whom IMO Dumbledore was indeed extremely fortunate to have. He came over to the Light for different reasons, he was differently motivated from the others; he was like Harry in that respect IMO, he was desperate and willing to do anything to bring Voldemort down (like killing Dumbledore, watching Charity etc.). Harry was like that too (the scene in the Forest), where he was willing to die just so that Voldemort could be vanquished and so many people saved IMO. While the others fought for themselves and to save their world, there were limitations to their fight IMO, like most of us have, we will not kill or destroy the good sometimes (Charity Burbage & Dumbledore), so that the evil too, will be ultimately destroyed. Snape fought only to bring down Voldemort and save Harry if that was possible. For that there was nothing he would not do; no mountain he would not climb and no sea he would not cross. He was willing to do everything and anything; Dumbledore understood that and I believe that was Dumbledore's greatest strength in the war. Snape's willingness to do anything. And he does; he does acts that no one will do, because he wants Voldemort to go. That is why he is fortunate to have a Snape and I think those words were probably the highest compliment Dumbledore could have given Snape; he already loves Harry and I am sure he is happy that Harry is the BWL and not someone like Ron, Hermione or even Neville as we see then now of course. What I do agree with is that Dumbledore saw Snape as more than a random Order member. There were no 'random Order members' to Dumbledore, imo. Dumbledore did value humanity, imo, and thus each of those helping him was equally valued as individuals. But I do not agree that he valued Snape as a person more than anyone else. The only person Dumbledore claimed to value more highly than the others was Harry; he said as much, indicating that at times he felt like the whole world could be sacrificed as far as he was concerned as long as Harry was kept safe. However, when one realizes that Harry was the major player in his plans to bring down Voldemort, one wonders if Dumbledore's affection was at least in part encouraged by a need to keep his most valuable asset against Voldemort safe. I kind of agree with this. Dumbledore, I think valued Snape more than the others, mainly because Snape was more important than the others for his plans to achieve fulfilment. Harry he loved; I only wished he had loved Snape a little bit too. I think he was very moved and perhaps even awed when he asks Snape 'After all this time' seeing Snape's patronus. I think Dumbledore was simply blown away Snape's Patronus. The love and feeling he saw in Snape's Patronus was a mirror of his own soul, that never quite forgot Grindelwald, I thought. From which I conclude that Dumbledore trusts that Snape will in the end do the right thing. I agree. The reasons, which I have stated above in this post itself. Snape would always do the right thing. He was differently motivated, like Dumbledore who was motivated to work for the Light since the death of Ariana; Snape would do the right thing, because he wants to bring down Voldemort. For that he is willing to kill Dumbledore and take yet another burden of hate from the WW on his head and he was willing to hand over a message to Harry too. Only in Harry's case, I think Snape also believed that the whole thing was beyond Dumbledore; if Dumbledore had a chance to save Harry, he would have done so. DH, "The Prince's Tale""I prefer not to put all of my secrets in one basket, particularly not a basket that spends so much time dangling on the arm of Lord Voldemort." This is where I think I differ. Snape was privy to so many things just like you said. All or any of them could not ever been known by Voldemort. Until the very end Snape was so good, Voldemort never suspected, something I am sure Dumbledore also believed in, because the fact Snape had killed Dumbledore on his request would alone make Voldemort crucify Snape. So Dumbledore believed Snape to be capable of resisting all attacks and also making sure, sensitive and important information would never fall into wrong hands. Snape had 2 such important things, apart from other sensitive stuff; one was killing Dumbledore and the other the message to hand over to Harry. And Dumbledore thought Snape capable of not only having those information carefully protected, but also thought him capable of somehow executing them properly. And Snape has never failed until then for Dumbledore. I found this comment as merely an excuse for not telling Snape about both the Elder Wand and the horcruxes. Why, is what I don't know? I think Dumbledore should have told him about the Elder wand. Even if he did not say a word while he was alive, he should have told Snape when Voldemort broke into his tomb and stole the wand IMO. All the more when his plan went awry and Draco became the new Master; Snape should have known just to make a provision to hand over the memories to Harry. How would Dumbledore know that Snape would not be killed before the message was handed over to Harry? Of course I think Snape should have been told because he deserved that much from Dumbledore IMO. But even otherwise, even if Dumbledore did not feel Snape needed to know for his own sake, he should have known to make other alternatives for the most important message to be handed over to Harry, in a way Harry would believe him, without which the war with Voldemort would not be won IMO. Basically, what I was trying to say was that Dumbledore and Snape could not have done it all on their own. Dumbledore was very fortunate to have others willing to help for whatever reason - In my opinion, Dumbledore saw that and appreciated it. While the others fought for themselves and to save their world, there were limitations to their fight IMO, like most of us have, we will not kill or destroy the good sometimes (Charity Burbage & Dumbledore), so that the evil too, will be ultimately destroyed. Snape fought only to bring down Voldemort and save Harry if that was possible. For that there was nothing he would not do; no mountain he would not climb and no sea he would not cross. Would and could are two different things. There were thresholds Snape could not place a foot across. For example, the Ministry before it fell to Voldemort; the werewolves who trusted no one, the giants who would have also killed Snape on sight; in the midst of the Centaurs who trusted only Dumbledore and a couple trusted Harry. Nor could Snape pose as an average housewife - even with a wig I fear he would fail. Snape had not run among theives in the underbelly of wizard society for 10 years, nor had he the skill and discipline relevant to an Auror. Thus, others were not only necessary, they were vital to Dumbledore's plans. Snape too was vital, in his own role which no one but he could assume. And each of those you mentioned would do everything within their expertise to assist Dumbledore. Killing, watching others killed and tortured, and following exacting orders from Dumbledore was all within Snape's expertise and he performed those things. I respect your view, but I suggest we don't get carried away with over-extending the usefulness of any one of Dumbledore's assistants. Imo, they were all crucial to his plans. As for Snape, he would not do 'anything' as he so clearly demonstrated when he washed his hands of the Occulmency lessons and when he ratted out Lupin, both things against Dumbledore's wishes. Snape too had his limits. Snape has failed Dumbledore before as I pointed out above. Everyone did so I am not condemning Snape, just correcting a notion. Last edited by wickedwickedboy; January 25th, 2008 at 11:35 am. I agree. Of course they could not have done it on their own. I merely felt Snape and Harry were the two most important persons in Dumbledore’s plans, not that others were not needed. Would and could are two different things. There were thresholds Snape could not place a foot across. For example, the Ministry before it fell to Voldemort; the werewolves who trusted no one, the giants who would have also killed Snape on sight; in the midst of the Centaurs who trusted only Dumbledore and a couple trusted Harry. Nor could Snape pose as an average housewife - even with a wig I fear he would fail. Snape had not run among thieves in the underbelly of wizard society for 10 years, nor had he the skill and discipline relevant to an Auror. I mostly agree with all of this, except I think Snape was far better in skill and discipline than most aurors and I really did not understand your point about Snape posing as an average housewife (when was it necessary to the war, but I agree he would fail even with a wig) and the Ministry. Did you mean working in the Ministry? Killing others and watching others being killed was how Dumbledore won the war with Voldemort And he certainly was not averse to sacrificing anyone starting from Harry and Snape, for winning it. Only to be fair to him, he was willing to sacrifice himself. You are indeed right. For I believe no one else would have killed others nor watched others being killed. They would have rushed in bravely and died themselves and killed those they meant to save as well. And in the long run I believe the war with Voldemort would have assumed horrific proportions, because others lacked the expertise that Snape had. I agree. As for Snape, he would not do 'anything' as he so clearly demonstrated when he washed his hands of the Occlumency lessons and when he ratted out Lupin, both things against Dumbledore's wishes. Snape too had his limits. Do you think he should have overlooked the fact that Harry broke into his personal memories he had not right to touch? In this I would blame Harry and Dumbledore more than Snape I think. Harry after almost 2 months still only wanted to try and see what lay behind the black door. He never tried to put an effort into clearing his mind and, perhaps reading a few books about it to make himself understand the concepts better. He was fighting his personal demons though all through 5th years and Dumbledore's distance also did not help. Harry was confused and he also had to deal with Umbridge, but that was not Snape's fault IMO. I respect your view, but as you are aware, I do not share it. Snape did not go through Auror training, so I am not sure upon what you base your conclusion in that regard. With respect to posing as a housewife, Snape neither could nor would supply the love, care and necessary protection that Molly did - including following Harry to #12 to care for him. And Molly went out on Order business (which Ron worried about). Possibly at times, she was used because whatever she was doing, the role of a 'innocent housewife' was needed. As for the Ministry, I meant having the ability to spy there, openly welcomed into the highest offices and access to the highest intelligence as Kingsley was and Snape was not. Do you think he should have overlooked the fact that Harry broke into his personal memories he had not right to touch? Yes. Considering the extreme importance of the request by Dumbledore in this instance, Snape should have overlooked his, imo, petty, personal problems and continued the lessons. Apparently his talents did not include the ability to breath in his anger and allow it to wash from him as he exhaled - like a cool brook pouring over a pebbled incline. Really quite easy to do in RL, although patience is required as the learning curve period can take a while. In this I would blame Harry and Dumbledore more than Snape I think. Harry after almost 2 months still only wanted to try and see what lay behind the black door. He never tried to put an effort into clearing his mind and, perhaps reading a few books about it to make himself understand the concepts better. He was fighting his personal demons though all through 5th years and Dumbledore's distance also did not help. Harry was confused and he also had to deal with Umbridge, but that was not Snape's fault IMO. But this is excuses and explanations. Snape failed to do this because he decided to wash his hands of it, there was nothing stopping him but himself. Whether his reason was good or bad; proper or improper, is immaterial. He should not have failed at this very important task. It was direct protection of Harry and Snape had promised Dumbledore he would do that. A big man can overlook his personal problems and anger in order to do his duty. But Snape went bonkers and lost it - unable to control himself despite being a supposedly mature adult. And you know, that is fine, people get mad, but Snape when he calmed down, should have reconsidered the importance of the mission he'd been given by Dumbledore and continued with the lessons then. Apparently protecting Harry was less important to Snape than wallowing in his personal grudge. The same thing happened in HBP when Snape whipped Harry; he became riled up based on his old grudge and 'game over'. Snape was unreliable when it came to any task associated with Harry due to his holding onto his grudge and his endless need to take it out on Harry. That is, unless the task included a negative result for Harry, i.e., giving him the memory that would lead to his death. I sincerely believe that Dumbledore knew that and that is why he entrusted Snape with that task - other than Snape would also know when Nagini was encaged - he was also perfect for the delivery job. You see, imo, Snape giving Harry all of the memories to gain his trust was nothing in the face of being able to drop the bomb on Harry in the end and inform him he was a horcrux. After all, Harry would not be around to gloat about Snape having emotions for mum. If you think about it, that is likely why Dumbledore didn't tell Snape that Harry had a chance to live. Last edited by wickedwickedboy; January 25th, 2008 at 2:41 pm. Nor did he have time, in the moment of crisis, to go looking for other experts, when an outstandingly talented one was available at the school. Severus says it was a 'miracle' Dumbledore managed to get back. I take this to be his professional opinion, which Albus does not contradict, so I think the likely effect of looking for another wouls have been death for Dumbledore. This is where I think I differ. Snape was privy to so many things just like you said. All or any of them could not ever been known by Voldemort. Until the very end Snape was so good, Voldemort never suspected, something I am sure Dumbledore also believed in, because the fact Snape had killed Dumbledore on his request would alone make Voldemort crucify Snape. This is true, however, this posed no intrinsic threat to Dumbledore's plans, only to Snape. Unless, of course, Snape knew and would divulge things that would threaten those plans. That's the point of not tellihng him things, as I see it. As I have already mentioned, the secret that Dumbledore's death was a mercy killing was a danger mostly to Snape himself, not to anyone else, or to Dumbledore's plans. The knowledge that Harry contained a soul bit of Voldemort was another piece of information that was less dangerous than Horcruxes and the elder wand. How would Voldemort act on that knowledge: by not killing Harry? I think, more likely, he would say to himself, but HA! the fools do not know I have OTHER Horcruxes, and he would continue as planned. The information that Dumbledore did not give Snape was what had mroe power to change things. Namely, Dumbledore's suspicion that if Voldemort tried to kill Harry, Harry would survive. And Dumbledore thought Snape capable of not only having those information carefully protected, but also thought him capable of somehow executing them properly. I think we see the principles of the spy game differently. Snape is all you say, I agree, (and so, in my view, does Dumbledore) but all it takes is a little slip, or a bit of bad luck, to make that irrelevant. And the best insurance against such accidents, is not to give away information Snape (or anyone else running similar risks) does not need. Do we have canon that Dumbledore's portrait knew of the violation of his tomb? Dumbledore in King's Cross is aware, perhaps, but that is some sort of spirit form, his remnant in the afterlife, which I would presume can see all that happens. I don't think the portrait communicates directly with that being at all - I think it is like a real person, limited by what it can see and hear in the room(s) it can access. (Or, if one prefers the 'it was all in Harry's head' explanationm Harry knows from having experienced it with Voldemort. Again, the portrait and Harry are not in communication). The most important thing plan of Dumbledore that would be affected by Snape's death or by his revelations if he was captured and tortured into speaking would be the message that Harry has to receive somehow from Snape, because no one else knew it and Harry was not communicating with Dumbledore's portrait. Without that, the war with Voldemort would not be over IMO. Do we have canon that Dumbledore's portrait knew of the violation of his tomb? Dumbledore in King's Cross is aware, perhaps, but that is some sort of spirit form, his remnant in the afterlife, which I would presume can see all that happens. I don't think the portrait communicates directly with that being at all - I think it is like a real person, limited by what it can see and hear in the room(s) it can access. (Or, if one prefers the 'it was all in Harry's head' explanation Harry knows from having experienced it with Voldemort. Again, the portrait and Harry are not in communication). And now everything was cool and dark, the sun barely visible over the horizon he glided alongside Snape, up through the grounds towards the lake. 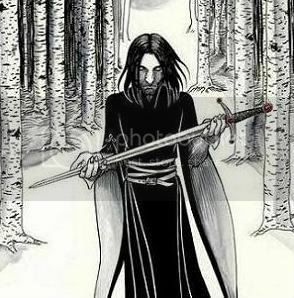 Snape bowed and set off back up the path, his black cloak billowing behind him. Harry walked slowly, waiting for Snape's figure to disappear. it would not do for Snape or indeed anyone else, to see where he was going. But there were no lights in the castle windows, and he could conceal himself... and in a second he had cast upon himself a disillusionment charm that hid him, even from his own eyes . ......... The tomb split from head to foot...... Dumbledore's hands were folded upon his chest and there it lay, clutched beneath them, buried with him. There Voldemort and Snape go together, before Snape is dismissed. Voldemort then casts a Disillusionment charm that hides him from his own eyes. Perhaps Snape also had such a charm upon himself and watched what Voldemort was up to. He would not simply go away; not Snape. But this is only my interpretation of canon, though. But going through with this, I came to the conclusion Dumbledore will also know through Snape. Even then if Dumbledore tells Snape about the Elder wand at that time, he allows Snape to make alternative arrangements for the memories, apart from also protecting himself. While you say that Dumbledore does not give any information that would harm his plan, and you are correct in saying so (except for Harry's message and that to me is most important), but what does he have as an alternative, if Snape was killed before the memories are given. It almost happened that way, only Jo got Harry there in time. What if that had not happened? Then how would the most crucial memory be given and how will the most important part of Dumbledore's plan be fulfilled? And without that how will Harry win the war? The rest of your post is slowly getting me converted. This will seem cold of me - but the plan regarding Harry's soul bit is not vital to the war effort. As long as Harry dies, and the Horcruxes are destroyed, Voldemort can be killed. The plan for Harry to LET Voldemort kill him (thought Snape did not know it) was the only way Dumbledore could see for the war to be won AND for Harry to have the best chance to live. I imagine this is how he justified keeping this from Snape to himself- Snape knowing could keep it from working, but from everything Dumbledore knew of Snape, he would have agreed with that goal regardless of the cost to himself. I think that Dumbledore actually put much more faith in the prophecy than he let on. He insisted that Harry be the one to face Voldemort, when I'm certain that Snape had some moments when he could have had the upper hand. I guess we can work our way into assuming that he wanted Harry to almost die to get rid of the horcrux. But it seemed rather like he wanted to ensure the prophecy worked its way out. Maybe he figured Harry's protection would give him an upper hand in any confrontation. But none of this is in canon. I hadn't really considered that, but I would agree it is a possibility. But that would mean Snape died due to holding his old grudge. Which begs the question as to whether or not it was Dumbledore's plan to have Snape die unless he could let it go...that kind of goes back to my old "Lack of Remorse" Theory. If Snape had had remorse with respect to James...it would leave respect for James and Lily as a couple instead of jealousy/hatred...and that could have led to Snape caring about Harry enough not to give him the message that he had to die. In such a case, it would change nothing for Harry, but everything for Snape because at the point of the battle where Voldemort called him, Snape could have simply recanted before those on the good side and then admitted he was working with them - even help them vanquish the death eaters to prove it. He could have ignored Voldemort's call and instead, worked with the trio and other Order members to try to take out Nagini. Meanwhile, Harry would do his bit behind Snape's back (and everyone else's) and still win the day. I think that Dumbledore actually put much more faith in the prophecy than he let on. He insisted that Harry be the one to face Voldemort, when I'm certain that Snape had some moments when he could have had the upper hand. I guess we can work our way into assuming that he wanted Harry to almost die to get rid of the horcrux. But it seemed rather like he wanted to ensure the prophecy worked its way out. Maybe he figured Harry's protection would give him an upper hand in any confrontation. But none of this is in canon. It is also not canon that Dumbledore believed in the prophecy. He, in fact, denies it. I don't see how we are working at all hard to conclude that he wanted Harry to almost die, at Voldemort's hand. He is quite explicit in his instructions to Snape. DH. "The Prince's Tale" "So the boy must die?" asked Snape quite calmly. "And Voldemort himself must do it, Severus. That is essential." In other words, he wanted Harry to let Voldemort kill him. He could have hoped for one of two outcomes, since they convey all possible outcomes and are mutually exclusive. 2) Harry does not die. I don't think it is a stretch to say Dumbledore wanted 2) over 1). So why did Dumbledore want such a peculiar thing? DH, "King's Cross" "And you knew this? You knew - all along?" For what other reason would Dumbledore send Harry to risk death? He clearly did not expect Harry to defeat Voldemort in that moment. I hadn't really considered that, but I would agree it is a possibility. But that would mean Snape died due to holding his old grudge. Umm? Voldemort asked - "Do you still hate James?" and Snape said 'Yes!!' and Voldemort said, "Die then?!". Not in the book I read. I am not proposing that Dumbledore did not want Harry to live. He did, the plan to have Snape tell him about the soul bit when it was time was the best he could come up with to achieve that. chose Snape rather than any other person in the universe to be that messenger not because Snape deserved to die, but because he trusted that Snape would actually carry out the plan. I don't see what connection this has to any grudge of Snape's. I see no reason to suppose he deliberately undermined this plan. There was a flaw in his plan that prevented him from telling Snape about the Elder Wand, (the fact that it retained its power with Draco as its new master), that is all. One he did not predict in advance, and had to deal with, somehow, in portrait form. He went ahead with the plan, hoping that Snape would get the information to Harry anyway, and that's what happened. He was not hoping Snape would die, although this was the outcome. Dumbeldore's reaction, I would remind you, was not "The so-and-so deserved it" but "Poor Severus", followed by a long moment of meditative silence by both Harry and Dumbledore. If, hypothetically, he had laid the Elder Wand information before Snape in full in their first post-death conversation, and then Voldemort had somehow decided Snape was a traitor, Voldemort would have had the opportunity to seize the wand from Draco and truly be its master. This would have made it difficult for Harry, or anyone else, to kill Voldemort even after all Horcruxes of any description were out of the picture. Actually I was just going with your theory that the soul bit was not vital to the war effort. Ah...that is what I was trying to explain. If Snape had allowed the grudge to fall behind him, he could have come to care for Harry. If he cared for Harry, he would not have likely been able to give him the message from Dumbledore (like everyone else who cared about Harry). But since the soul bit was not vital to the war effort it would not have mattered. Nor would it have mattered whether or not Snape remained a Death Eater (in Snape's mind) and he could have re-joined the good side early and perhaps lived. Although Voldemort would have still sought to kill him over the Elder Wand - Snape would believe Voldemort was trying to kill him for betraying him. But knowing this ahead of time, he may have been able to thwart Voldemort's attempts and lived. Voldemort would have had to come up with a new way to kill Harry which would not have worked and Harry would still win the war. However, Snape did not allow the grudge to fall away. So my point was, Dumbledore may have understood all of that. In any case, he understood Snape was going to die without forewarning at the hand of Voldemort over the Elder Wand. And perhaps Dumbledore had planned at some point to tell Snape what he was in for, but the fact of the matter is, he didn't, for whatever reason. I do not see how Dumbledore betraying Snape is any more a good thing than betraying Harry. To me, both acts show despicable behavior on Dumbledore's part. I agree he felt remorse for both actions later and likely for Moody, Hedwig and everyone else that got caught up in the web of the poorly executed or strategized portions or his plan. I feel he redeemed himself and all of that, but the fact that he had to be redeemed says that some of his plans were wrong in nature. There was a flaw in his plan that prevented him from telling Snape about the Elder Wand, (the fact that it retained its power with Draco as its new master), that is all. I agree - but Dumbledore's original plan was to have the power of the wand die with him and for Snape to have the elder wand. So I do not see how it would benefit Snape if all had gone according to plan. Voldemort would certainly use whatever measures on Snape and any other possible suspects to discover the truth. Part of the plan, unless I am mistaken, was to have Voldemort believe he was the master of the Elder Wand, making him even more vulnerable. Voldemort would have either gotten that information out of Snape (or killed him trying to) or found the wand and then killed Snape. So I don't see how the flaw in the plan changed anything - Dumbledore should have told Snape either way, imo. Last edited by wickedwickedboy; January 26th, 2008 at 4:28 am. This will seem cold of me - but the plan regarding Harry's soul bit is not vital to the war effort. As long as Harry dies, and the Horcruxes are destroyed, Voldemort can be killed. I agree. Harry can die as long as Voldemort is defeated is what you’re saying and Dumbledore initially may have planned everything that way, until the graveyard, when Voldemort took Harry’s blood and gave Harry a slim chance of surviving. The plan for Harry to LET Voldemort kill him (thought Snape did not know it) was the only way Dumbledore could see for the war to be won AND for Harry to have the best chance to live. I imagine this is how he justified keeping this from Snape to himself- Snape knowing could keep it from working, but from everything Dumbledore knew of Snape, he would have agreed with that goal regardless of the cost to himself. Yes, Snape agreed to send Harry to his death, because a fragment of Voldemort’s soul was inside him. Snape knew there was no other way. I agree. But why did not Dumbledore tell Snape about the Elder wand? Snape saw Voldemort go towards the tomb, and perhaps he may have cast a disillusionment charm and may have seen the tomb being opened and a wand being removed, even if he did not see Voldemort who would also be under a disillusionment charm. What plan of Dumbledore do you think would not have worked because he told Snape about the Elder wand, because if we are to take Harry not being alive as intrinsic to the plan, the Elder wand does not count or does it? This I finally understood lol. But this again is negated if Harry need not be alive. That Draco was the new Master of the Elder wand was something no one apart from Dumbledore knew. OK, it seems I have talked you around to the idea that it was reasonable for Dumbledore to delay telling Snape immediately, but you are saying he should have told Snape once Voldemort actually took possession of the wand. I am open to this idea. So I have a question for you: What do you think that Snape would or should have done differently, if he had been told at that point? I'm coming up with 'nothing'. He could flee, but I do not think he would, he has two purposes he can only accomplish if he remains Headmaster (protecting the students), and remains close to Voldemort (knowing when it is time to tell Harry). If Snape and Dumbledore knew what Voldemort did that night by Dumbledore‘s tomb and I think Dumbledore knew through Snape, then I think it becomes Dumbledore's responsibility to tell Snape about it. At that point, Dumbledore knew Snape was going to die, because Voldemort had caught on to the Elder wand. He does not, and by not telling Snape, he has made that choice for Snape to die. He took that decision with Harry as well, but then Harry was a horcrux and Dumbledore had a feeling Harry would survive. With Snape, he must have known, Snape would be killed and would stay dead. Snape may have died anyway; but like this I felt he died without knowing until the last minute what Dumbledore may have known from the time Voldemort broke into his tomb. Dumbledore need not even have told Snape about Draco being the Master of the wand, but facts about a wand that would most likely would get Snape killed was not too much to expect from a man for whom Snape had faithfully worked, never questioning him and always trusting him, even when it meant handing over a message for Lily Potter’s son to die. Dumbledore does not do that and he takes away Snape’s choice, even if Snape would not have chosen differently is what I think. I would agree that Dumbledore had a duty to tell Snape about the Elder Wand. It is not so much that Snape could have done anything differently, but a matter of full disclosure and honesty on Dumbledore's part. Snape could have avoided Voldemort (not that he would), but as it was, he simply had no choice in the matter.